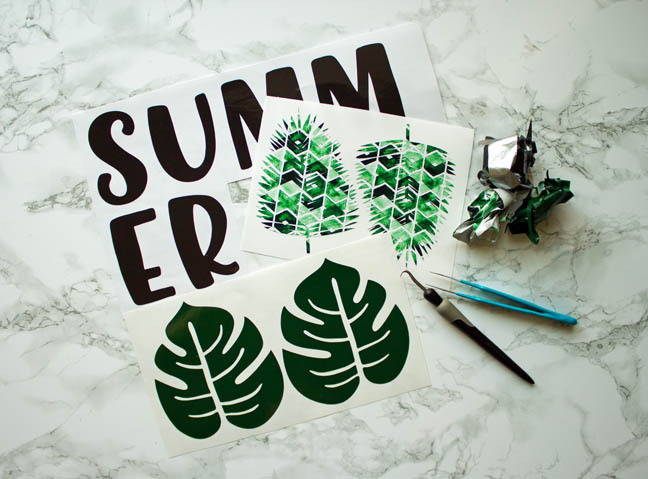 I recently got an adorable vinyl pack with all sorts of coordinating products with a tropical summer theme. I knew I wanted to find a project that used all of the various products together. 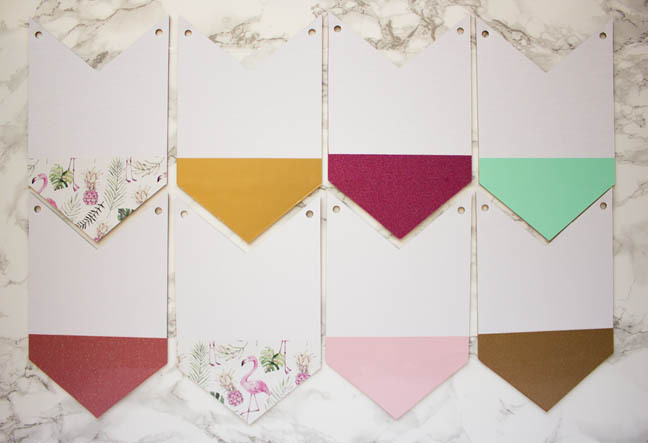 I went digging through my bin of blanks for crafting and came across a chipboard banner set. Boom! I knew exactly what I was going to make. That chalkboard in my kitchen was asking for some new decor across it for the summer season. 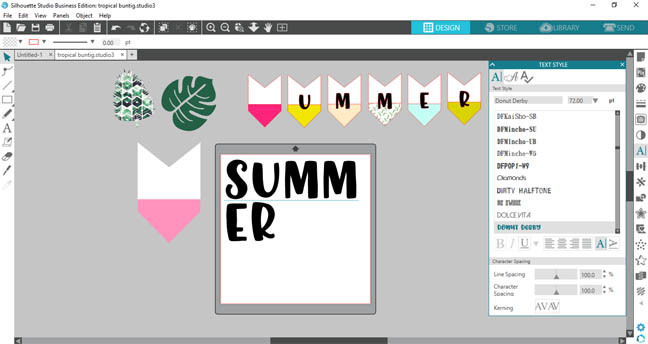 I started the project by mocking it up in Silhouette Studio. 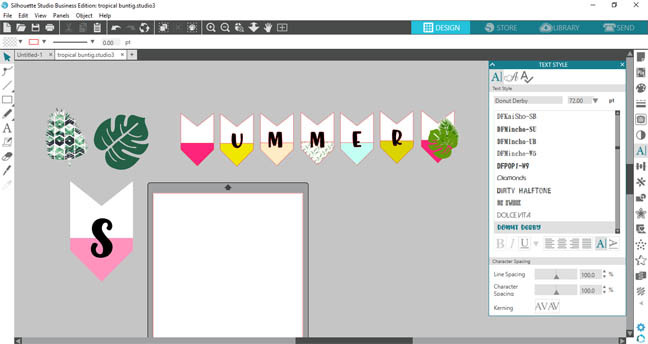 I found a banner shape that was similar to mine and played around with various designs until I came up with this. 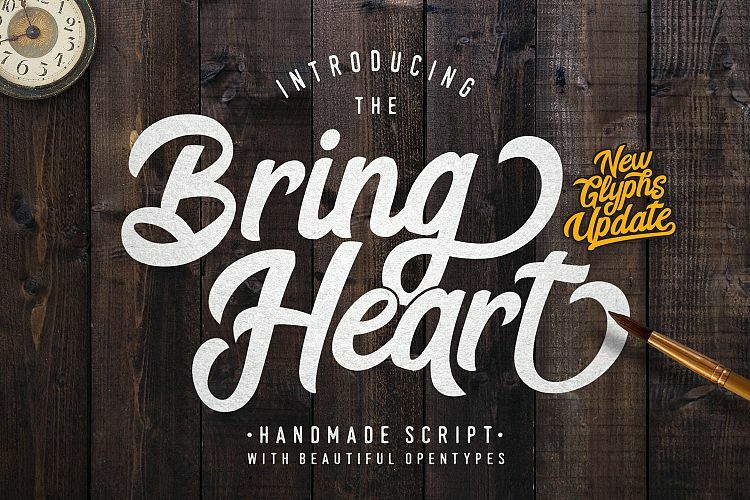 I'm using the font Donut Derby that's in the Little Craft Bundle Vol 2. 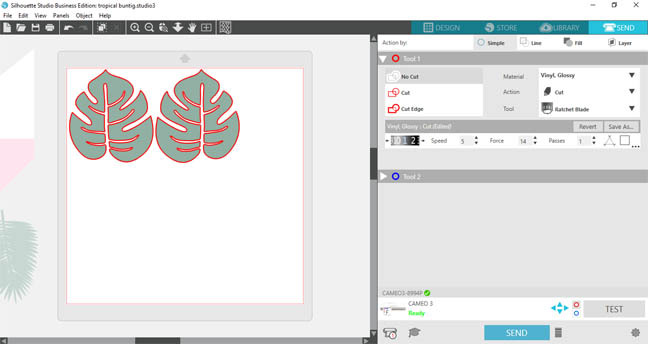 The tropical leaves are from the Silhouette Design store. I simply just used the color tools to add similar colors from the vinyl pack. I made one of the banners to scale with what I had and sized the letters on that. Once I figured out the perfect size I typed out the whole word so I could cut it out of the vinyl. 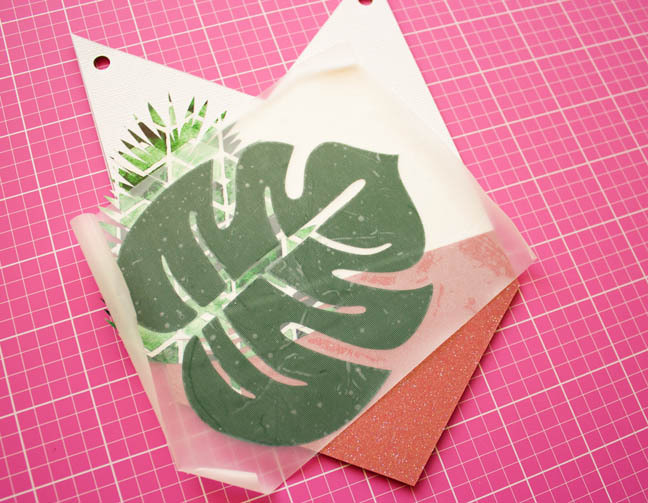 I also sized the tropical leaves and sent them to be cut as well. This is the awesome theme pack of vinyl I used as inspiration for this project! 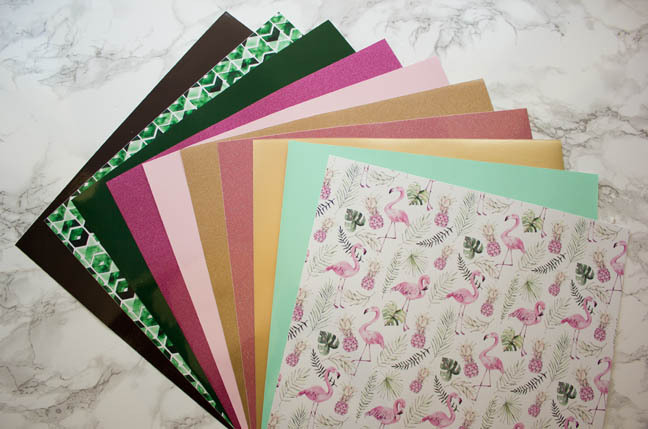 Look at all those gorgeous colors and prints! 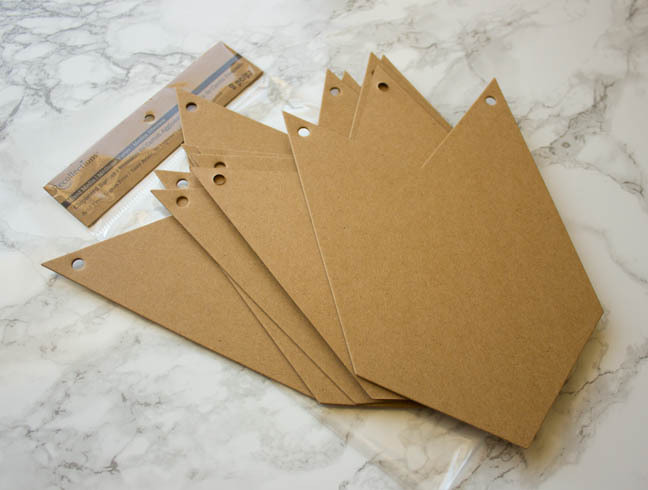 Here are the plain chipboard banner pieces. I like these vs cutting them because they are much thicker than the chipboard I can cut with my machine. Let's start assembling the pieces!! 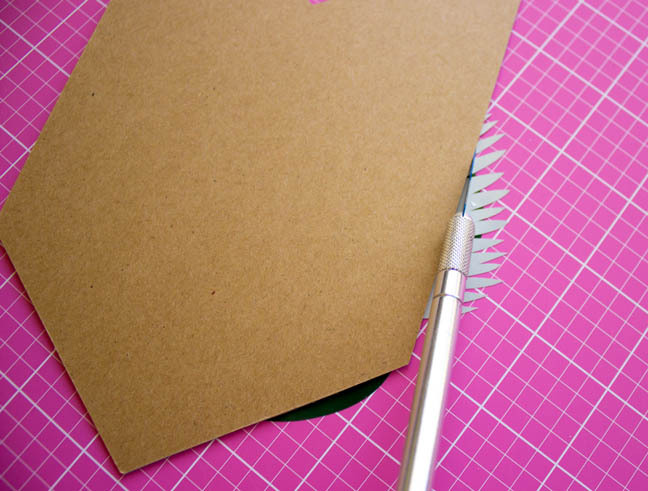 Take your white adhesive cardstock and cut it in half using the paper trimmer. 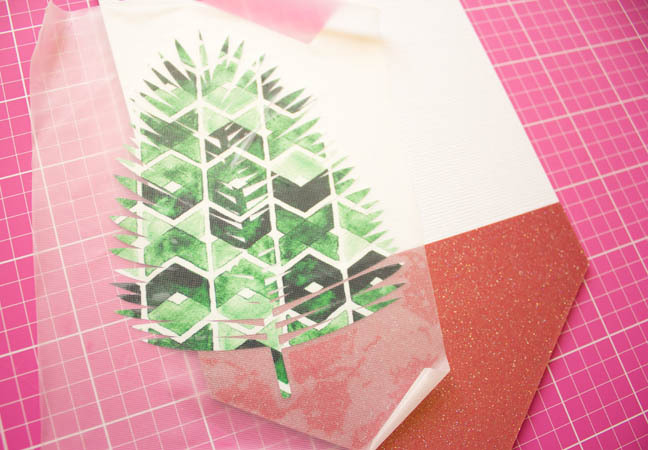 Then peel off the backing and lay the paper down so the sticky side is up. Carefully lay the chipboard on top and use your knife to cut around the edge. 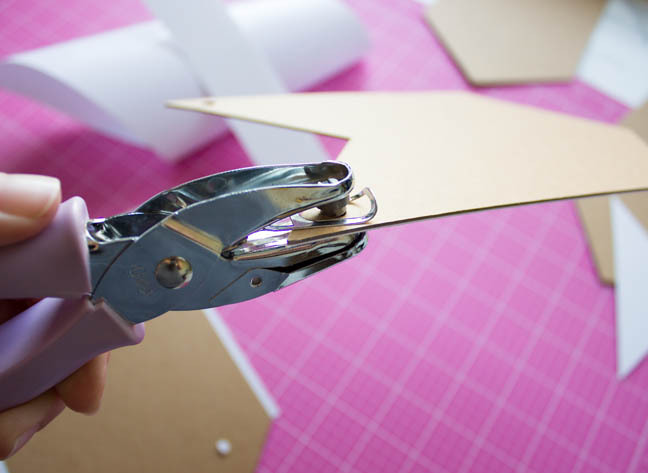 Take your hole punch if you have one to create the holes at the top for the string. Or use your knife if you don't have a punch. 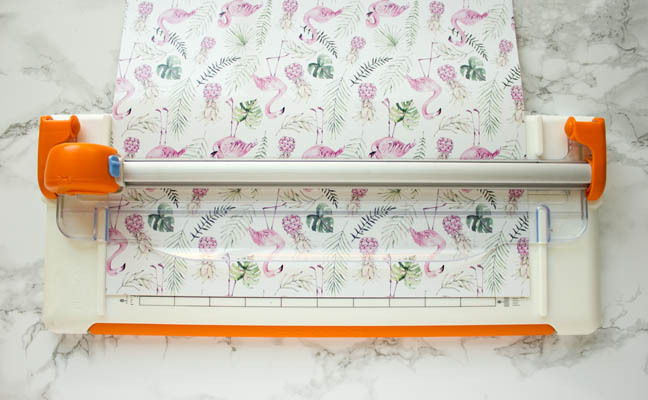 Next, use your paper trimmer to cut 3" wide strips of each of the pieces of vinyl. 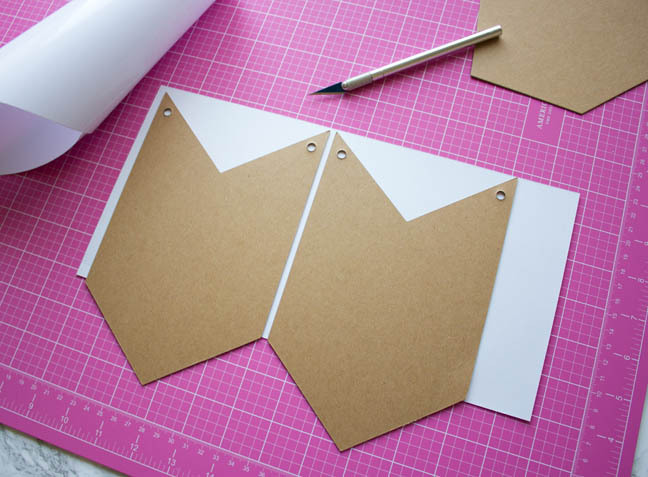 I simply used my scissors to cut the length to slightly wider than the chipboard piece. Like you did for the white paper, remove the backing paper and lay it sticky side up then carefully place the banner piece on top. Trim away the excess to have the bottom portion with the pop of color. Repeat! Take all of the vinyl pieces you cut early and weed away the extra material. 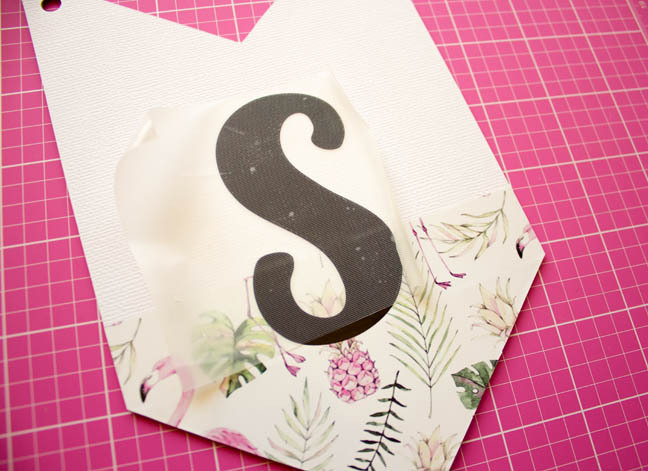 Take a piece of transfer tape (you can reuse the same piece for the whole project) and start lifting the vinyl from the backing onto your banner. I layered the leaves on top of each other and made sure to leave some hanging off the edge of the banner. Flip the banner over and use the knife to trim away the extra overhang. 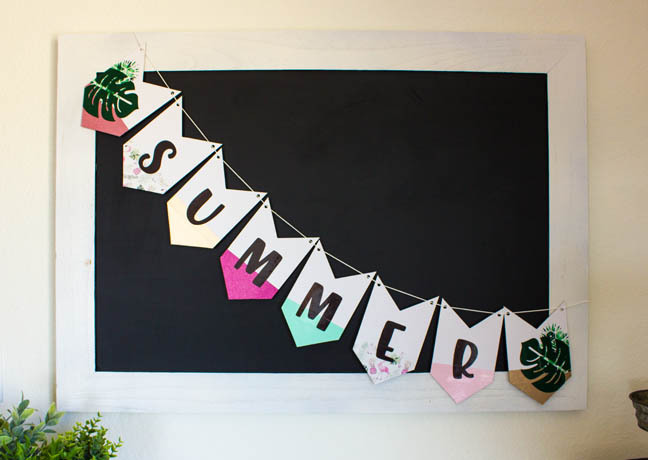 For the letters, simply transfer each one onto the banner piece making sure to align them in the center. Repeat until the whole banner is made! Then add the string to hold it together. Now the best part!! 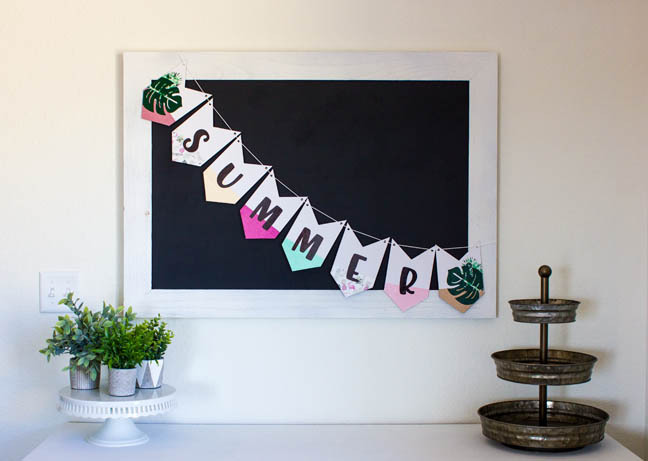 Take that gorgeous new banner and proudly display it in your home. I love how bright and summery the colors are and they go perfectly with my home decor, don't you love it when things just work out?! ?